O’er his uncertain shadow droops the day. 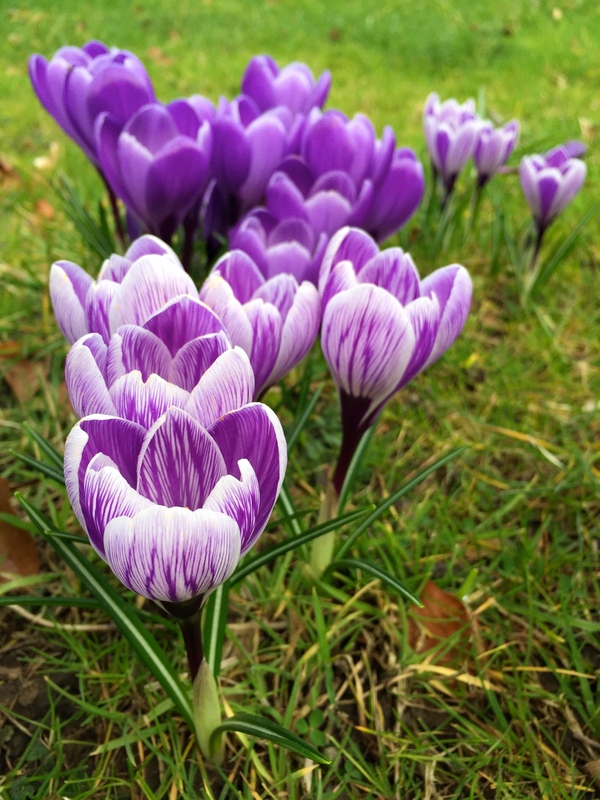 If flowers were sweets then Dutch crocuses would be Quality Street – bright, inexpensive and hard to resist. As spring bulbs go they are not the most refined flowers, shunned by the same breed of gardeners that turn their noses up at dahlias, chrysanthemums and petunias. 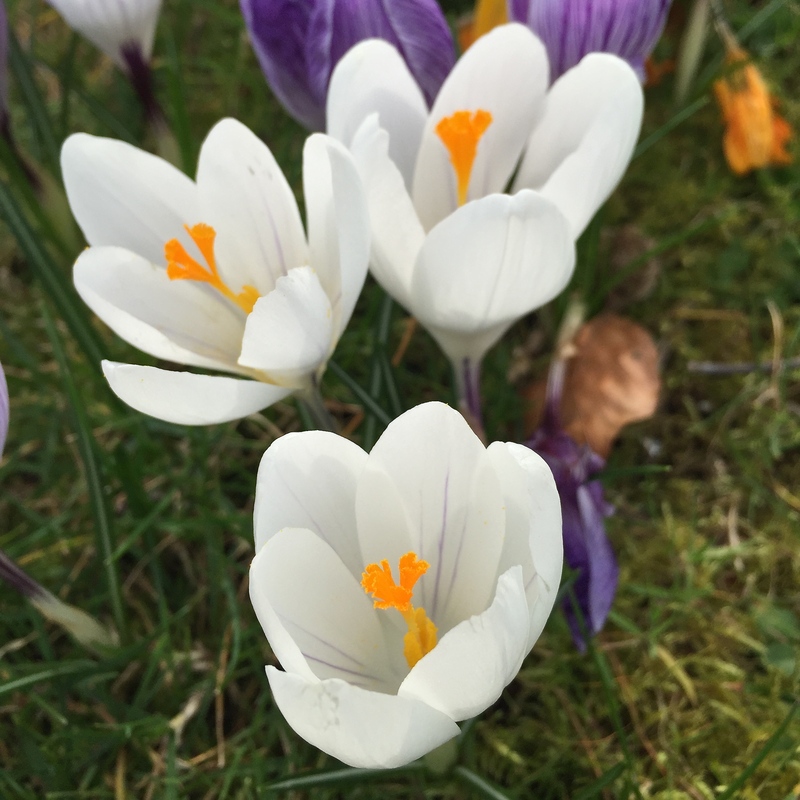 But what Dutch crocuses lack in delicacy they make up for in sheer presence, multiplying vigorously and forming dense clumps in borders and lawns. For me they are forever connected to my childhood, when my mother would tell me a story involving three different coloured crocuses, one purple, one white and one yellow. It was not quite Tennyson, but held me in rapt attention every time it was told. That tale, long forgotten, was accurate in so far as Dutch crocuses come in a limited number of shades. For royal-purple flowers, Crocus vernus ‘Flower Record’ and ‘Remembrance’ are good choices, carrying large, lustrous, chalice-shaped blooms. A handful of these planted in amongst Narcissus ‘Tete-a-Tete’ or N. ‘Jetfire’ make both flowers shine like sweet wrappers. A subtler creature altogether is C. vernus ‘Vanguard’, which flowers particularly early and produces flowers of gentle mauve-grey. For later, lavender-blue flowers you could try C. vernus ‘Grand Maitre’, which like many Dutch crocus cultivars has endured for 90 years or more. At the other end of the blue spectrum, C. vernus ‘Twilight’ has incredible midnight-blue petals, contrasting dramatically with startling orange stamens. C. vernus ‘Pickwick’ possesses sparkling white petals deeply veined and feathered with purple, whilst C. vernus ‘Jeanne d’Arc’ is pure white except for the odd violet streak. This just leaves yellow, of which C. vernus ‘Yellow Mammoth’ is one of the best-known cultivars. Its glossy flowers and stamens are the colour of free-range egg-yolks. 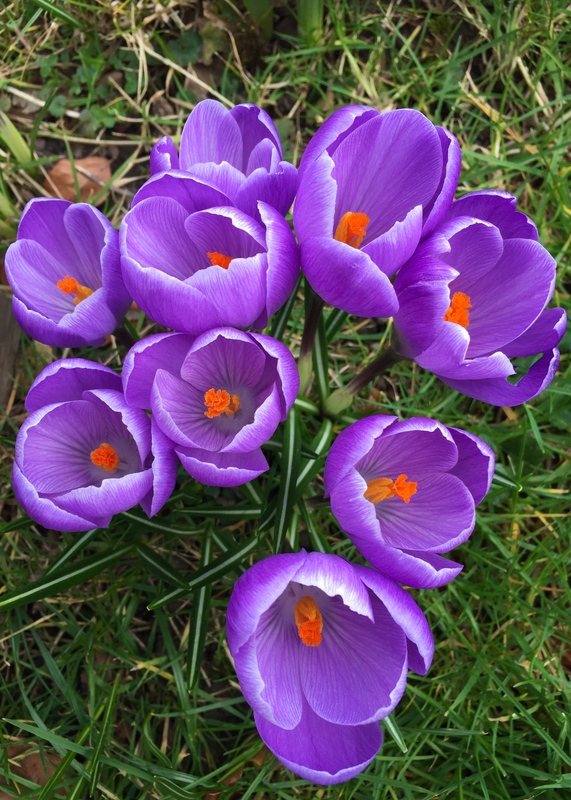 Dutch crocuses are great bulbs for naturalising in grass. They should be planted at a depth two or three times the height of the bulb in September, deeper if you have problems with mice or squirrels. Once the bulbs have flowered, leave the grass uncut for six weeks to encourage self-seeding. C. vernus will put up with poor soil as long as it’s well drained and the position is sunny. If you don’t have a suitable area of sward, just a few bulbs planted in a terracotta pot will provide early flowers and a magnet for bumble bees. They may be a little coarse compared to the species, but what Dutch crocuses lack in finesse they make up for in sheer flower-power. Photographs taken on location at Blynfield, Stour Row, Dorset, with special thanks to Sam. They are very lovely. The ones in my yard are in pots. These are growing beneath the trees in front of a lovely Dorset farm. You hit the nail on the head. They are like sweets and they multiply. Having them show up in numbers is the best part of their spring arrival.